The University of California at San Francisco Medical Center, the Ronald Reagan UCLA Medical Center and the Montefiore Medical Center in New York are among many hospitals nationwide that have begun “meds to beds” programs, in which prescription drugs are given directly to patients just before they are sent home (Fran Kritz, The Washington Post). The Meds-to-Beds Program is another initiative that demonstrates the importance of transitioning from hospital care to the community in a patient/ consumer centric way. With increasing aging populations, our health services will be challenged to provide duty of care for more chronic conditions with our mature consumers. The pharmacy is a logical step within this transition to normal life and has an important roll to play in caring for individuals as they return to health. 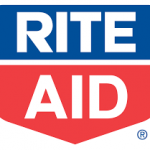 There has been some good initiative with several pharmacy chains including Rite Aid in the USA and Shoppers Drug Martin Canada. These show how the pharmacy adds value to the community through extending care from the hospital bed to the consumers home. Want to learn more about key stakeholders? The OTC Training Academy will be in Seoul on the 21st of September. The subject for our workshop will be “Winning in the OTC Pharmacy”, with a focus on the OTC Pharmacy Key Stakeholder and how to develop sales opportunities to add competitive advantage to our brands. Please contact mary.montero@nicholashall.com to book your place.